Chelsea recorded their first victory under new manager, Guus Hiddink on Sunday when they thrashed Crystal Palace at home 3-0, which keeps them on the 14th position on the English Premier League log. His first two games had ended in a goalless and the other ended 2-2, and the former Netherlands coach has taken time to shower praises on his players after the game. It was an all Brazil show as Oscar gave the Blues the opener, while Willian doubled his side's lead before Spain striker, Diego Costa wrapped things up in the second half to complete their 3-0 routing. "I have been here for three games plus a game I was in the stand," began Hiddink. "We have started working and of course there is a lot of quality in this squad - not just the first 11 but from one to 22 with some youngsters." "If the team hasn’t been doing well for a long period then it is important to look for security. That’s why we emphasised on good, hard work in a tactical defensive way. I don’t like to see a team drop back very far and seek false security but to look forward and get the ball forward as soon as possible. When they get the ball they know how to play." "We don’t need to add a lot to the quality of the players. They are blessed by nature with a big quality but they have to know that when things are not going well, you have to look for the causes." "That’s why the very talented players started working on the dirty work and not just the beautiful game - because this league is very demanding and if you think you can do it just on your natural quality this league will kill you." "The attitude is okay and automatically their quality comes through. The efficiency of this quality in the past half-year has been very low. We talked about that, we did it in training – small conversations – but if they have this quality and the team is well organised they must produce and then we can enjoy how they play." "He played very well as he also did in the previous games. He’s the ideal player in my option to bring balance to the team." "If the team is not willing to defend well or have the right balance then you concede a lot of goals. I thought John Obi can be one of the key figures in getting the balance back. On top of that the talented players can then explore their qualities." "He can recover the radar. He knows the game very well. He knows where the strength of the opponent is and he knows exactly how to cope with that. He has a very good eye, a very good nose, and a very good sense of where to recover." "He doesn’t do it in a very brutal way – he’s very, very elegant. What I like to see very much is not just a quality player but a player who can defend so smoothly. It’s beautiful to see. He doesn’t lose many balls, he’s good in short passing. I don’t expect and I don’t ask him to make the decisive final pass. He can but no, we let the other players do that." "He performed as he can and as we like to see him. He is good with his short passing, very smart with the final pass and that’s the Fabregas we like to see." "It’s possible to have three very creative players but in this league, which is one of the most competitive leagues in the world, it’s difficult. 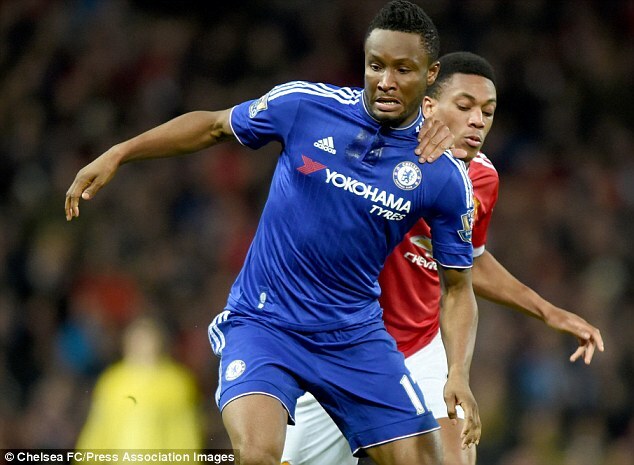 That’s why we looked for the balance [and played Mikel]." "He slipped, spread his legs and he has a little problem with a muscle inside his groin. We’ll see tomorrow with the MRI scan how damaged it is."